This interesting and intriguing publication is a must. 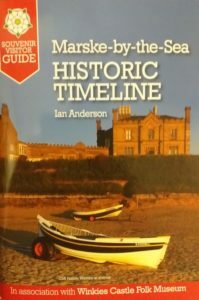 After spending many years of research Ian has finally published “Marske-by-the-Sea, a Historic Timeline”. It tells the history of Marske-by-the-Sea dating back to 1043 the first record of Marske, and the Church of St Germain’s in 1060. The “Doomsday Book” in 1086. It also tells about the introduction of the Parish Register, William Pennyman, The civil war, The Dundas family, The Cleveland infantry, Joseph Pease, The opening of the mines, The building of St Mark’s Church, It’s Schools, the First and Second WW, Upto the demolition of the old village and much, much more. The Book can be purchased from Winkie’s Castle after we open on Easter Saturday 20th April 2019. Priced at just £4-95. A fascinating compilation of facts and images from the Anderson Collection along with previously unseen photographs taken by Jack Anderson and others. Many months of research for a Souvenir book for Winkie’s Castle Folk Museum in Marske by the Sea had left reams of information superfluous to the Souvenir book but too interesting to disregard: hence the writing of Book 2, “Changing Marske by the Sea”.It also includes arial views, Marske’s military history and the Iron Stone mining in Marske, plus other interesting stories. A team of 5 volunteers spent several months sifting through hundreds of photographs & slides belonging to the late Jack Anderson. 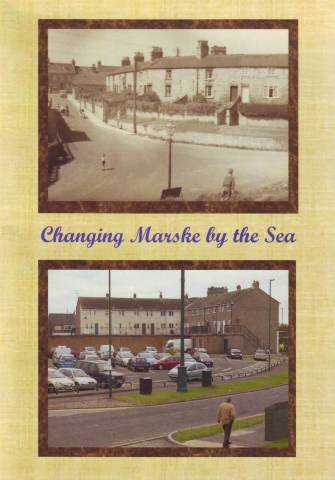 Many more hours were spent correlating images, researching historical facts and taking photographs from exactly the same location as the original Jack Anderson images before “Changing Marske by the Sea” was finally ready for publication. ACKNOWLEDGEMENTS Jack Anderson, Ian Anderson, Lilian Waton, Tony Lynn MBE, Ann Sidgwick and Mike Sidgwick. Additionl thanks to Marian Skippon, Michael Holliday and Saltburn Marske & New Marske Parish Council. 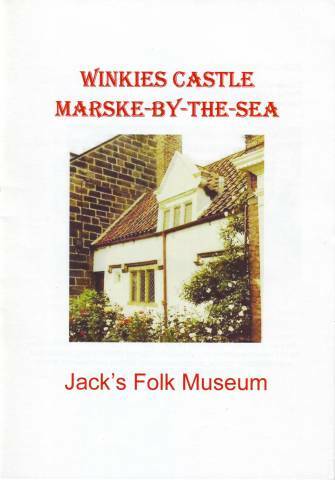 This small but very interesting booklet gives an insight, not only to Winkie’s Castle, but to to the Anderson family, and also to the Anderson collection, of which some are on display at the museum. It includes pictures of Jack and his family at work and taking pleasure in showing off his artifacts to visitors. It also gives a brief description about the building and it’s construction. Compiled by Ian Anderson, Anthony Lynn MBE, Lillian Waton, Ann Sidgwick and Mike Sidgwick. 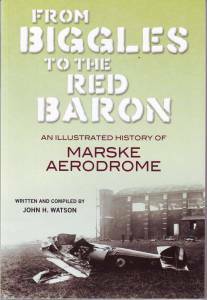 Written and compiled by John H Watson this book tells the story of Marske Aerodrome in the first world war, with over 180 ilistrations. 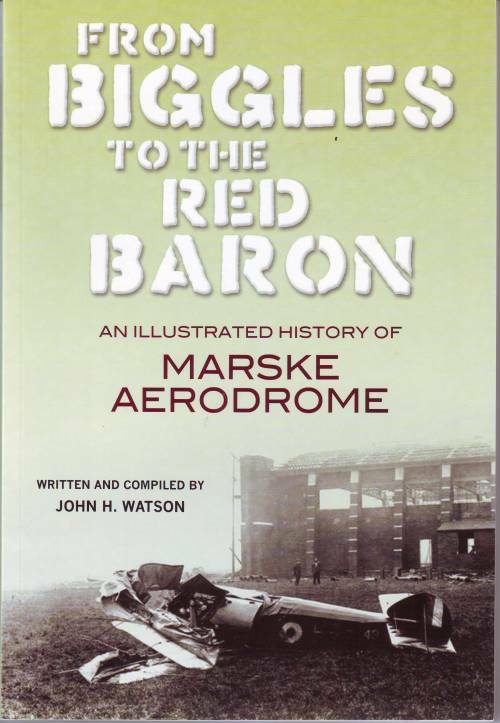 Discover the connection of Marske Aerodrome with the “Biggles” series of books written by W.E.Johns. Available from “Winkies Castle” and various outlets.